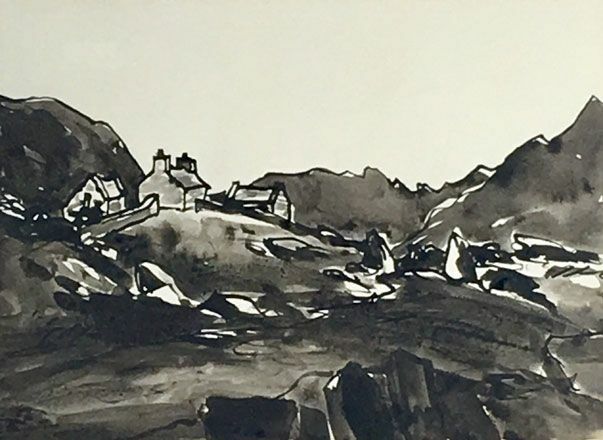 Sir Kyffin Williams was born in Llangefni 1n 1918. He went to prep school on Anglesey before moving to Shrewsbury School. He then trained at London's Slade School of Fine Art in 1941, before teaching art in London at Highgate School between 1944 and 1973. 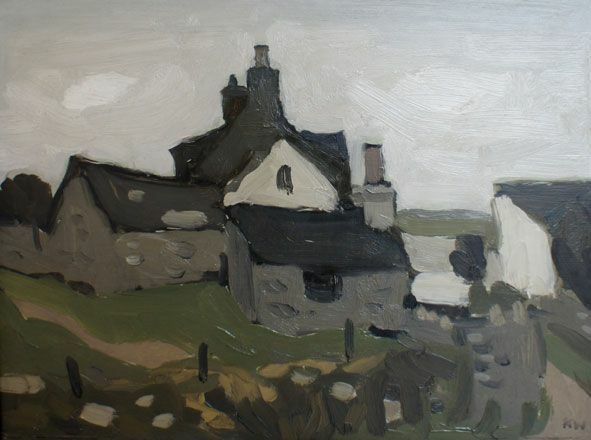 He is widely regarded as one of Wales' most important 20th century artists. His atmospheric, powerful paintings have a dramatic and often brooding quality that, for many, defines the Welsh landscape, and in particular the north Wales landscape. 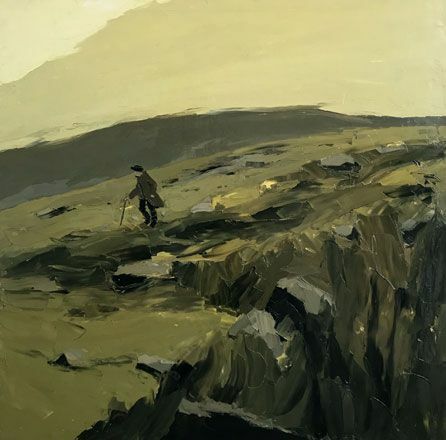 Despite using a subtle and limited palette, he was a considerable colourist and his best work has an unmistakable intensity. This intensity is also apparent in his portraits which, at their best, are the equal of his landscapes. He has been feted with honours and awards. He was elected to the Royal Cambrian Academy in 1963, serving as its President for a period in the 1970s, and again in the 1990s. 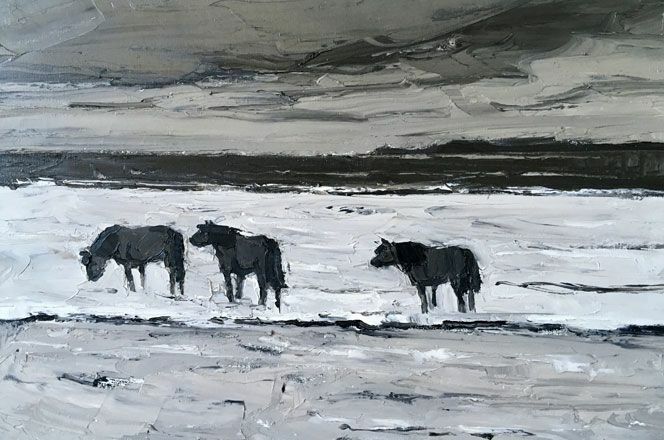 In 1968 he won a Winston Churchill Fellowship scholarship to study and paint in Y Wladfa, Patagonia. He was elected to the Royal Academy in 1974. 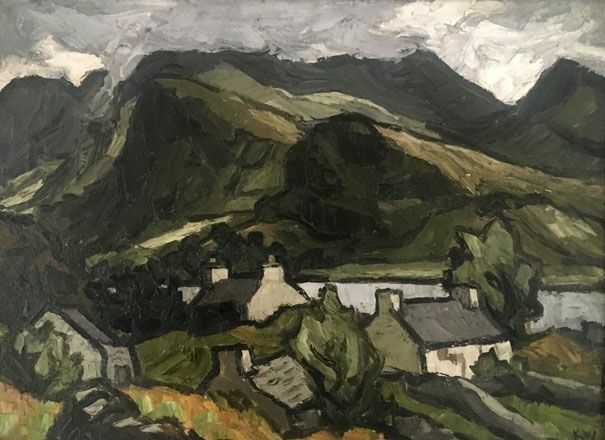 He was awarded the OBE for services to the arts in 1982, and in 1995 was awarded the Glyndwr Award for an Outstanding Contribution to the Arts in Wales. He was knighted in 1999. He died on Anglesey in 2006.